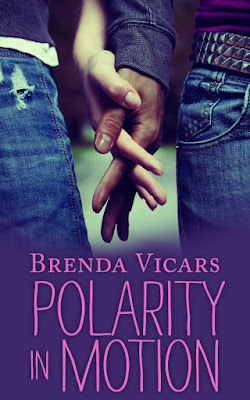 Disclosure: I received Polarity In Motion By Brenda Vicars complimentary from Brenda Vicars. Provided I give an honest review. I found this book touched on a lot of sensitive subjects, such as bullying and Racial/mental issues. It isn't like any of the other young adult books I have read that deal with suspense/drama. I found Vicars to give more detail about certain things. Which I can see where some readers may not like this, because it can make a book drag sometimes. I actually enjoy all the details the author gives. It also left me hanging on my seat a lot of times, because I was ready to know who made the picture! She kept me guessing who the culprit was, which is also a plus. I will agree I got emotional at certain areas of this book, But that means it's a good book, right? I really enjoyed how the author talked about Borderline Personality Disorder, as you do not hear much about this mental disorder. I think it is one of the difficult disorders to understand and diagnose, and it is always great to get more information out about certain health or mental issues. I feel it helps others to understand more about people who deal with them. I highly recommend this book, because it is an awesome read! Have a Blessed Day! Forgot to say--I love the title Unique Polarity!